Ideal for hotels, shopping malls, office blocks, transport terminals, banks, sports stadia, auditoria, etc. 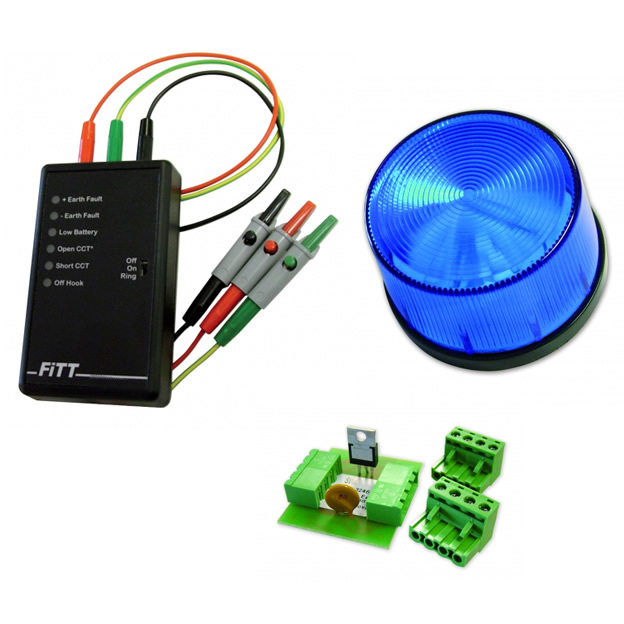 Our SigTEL 16-128 line EVC system comprises a range of sophisticated control equipment (described below) designed to connect to up to 128 ‘outstations’. Typically located in a building’s control room, the control equipment allows management and/or the fire services to communicate via a telephone-style handset with the system’s ‘outstations’. 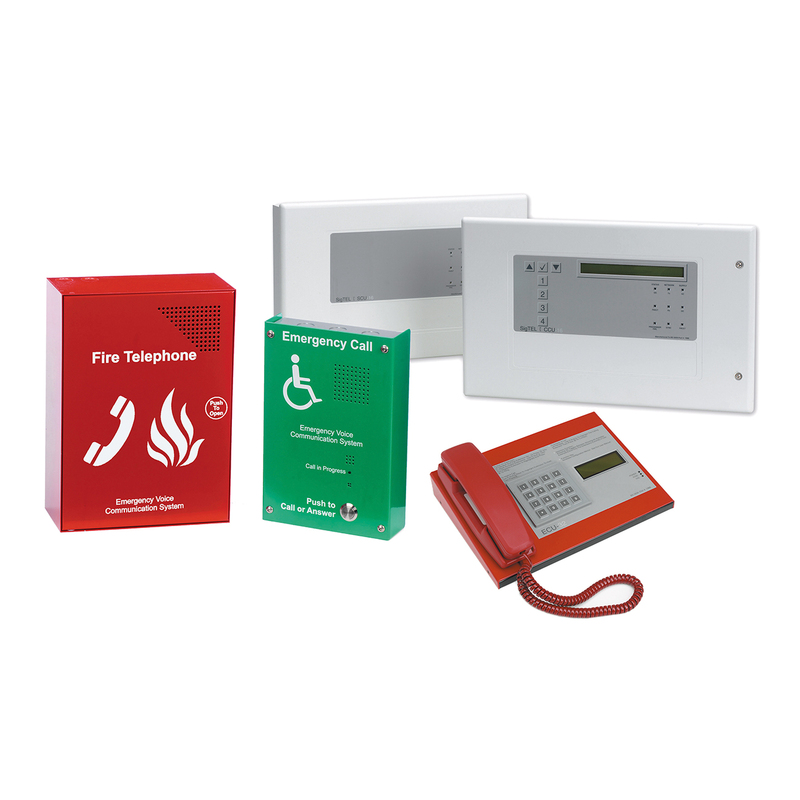 Two types of outstation are available – Type A (fire telephone-style for fire telephone/stadium marshalling applications) and Type B (handsfree intercom-style for disabled refuge applications). Both types of outstation connect to the system’s controller using two cores of 1.5mm2 enhanced fire rated cable of up to 1km in length. Our modular 16-128 line control equipment comprises one CCU-16 16 line Master Control Unit and up to seven SCU-16 16 line Slave Expansion Units. Fire telephone and stadium marshal systems use ‘Type A’ telephone-style outstations. 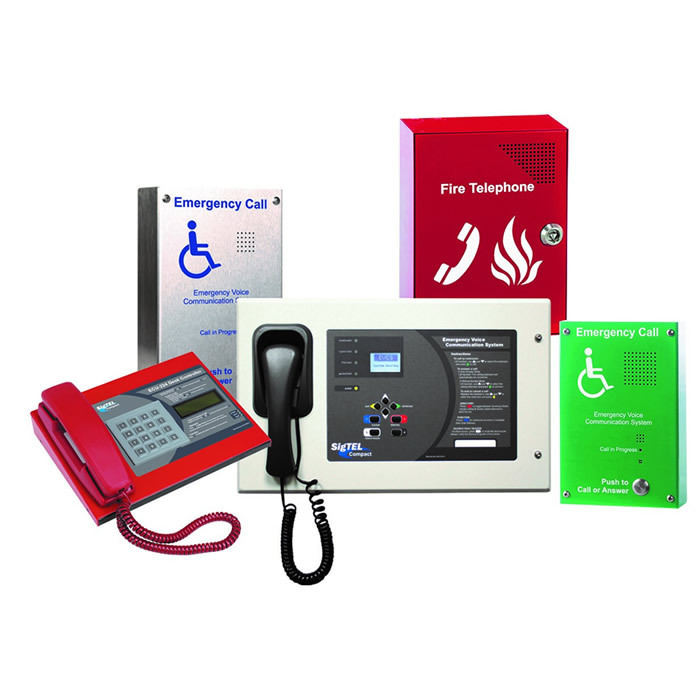 SigTEL’s Type A Outstations comprise the EVC301RPO which includes a telephone handset in a push-to-open red steel cabinet and the EVC301RLK which is exactly the same but with a ‘lift key’ locking mechanism. They are typically located at entrances and fire-fighting lobbies to allow fire marshals to communicate with building control during an emergency. Their housings have openings which allow the phones to be heard and they are designed to be surface or flush mounted using the 301T-BEZ Bezel. Disabled refuge systems use ‘Type B’ handsfree intercom-style outstations. SigTEL’s EVC302 range of Type B outstations offer true hands-free duplex speech and allow anyone in a refuge area to communicate with building control at the touch of a button and vice versa. Attractively finished in brushed stainless steel or green metal, they include connections for an optional induction loop system and a general purpose output that closes on activation of the unit for the optional connection of strobes, CCTV activation relays, etc. Flush, surface and weatherproof options are available.